If you are tired of writing code for making themes, then TemplateToaster can energize you again. A software meant for making WordPress, Drupal, Joomla, and Magento themes, TemplateToaster gets developers rid of coding. By developers I mean all those who are either into coding job, or want to make themes but not have coding proficiency. TemplateToaster works for multiple CMSs viz. WordPress, Joomla, Drupal, and Magneto, Prestashop. Plus, it creates for a most loved blogging platform- the Blogger. Besides, it’s an excellent HTML website builder. That’s why I like TemplateToaster, I am able to show my creativity with this. It lets me do designing and takes care of development itself. How? Actually, generation of source code at the back-end is the work of TemplateToaster, and on its interface, it provides me with lots of options for designing. A designer doesn’t merely needs options for colors, shapes and pictures, but wants options for detailing. And this is what TemplateToaster allows me to do. Hence, I am able to make awesome designs. These designs come alive when I export them. Before the development starts, theme mockup is prepared. Mockup describes the appearance of respective theme. It’s obvious, to exactly tell someone your requirements, you need to have a mockup. It, rather, helps the second person to understand what you want from him to do. TemplateToaster, eliminates this need. The time you are supposed to pay for making the replica, in that time you can make a functional theme. And all you would have to do is detailing and not coding. Yet another point supporting my trust on TemplateToaster is that it generates genuine code. Code conformity to standards is important for better running of my themes. Moreover optimized code generation is done. 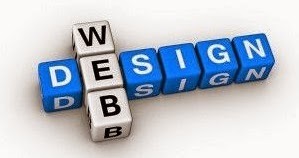 An optimized theme gives rise to optimized websites. Other matters like compatibility of design with several browsers, compatibility with requires plug-ins, and responsiveness of design are greatly managed by TemplateToaster. The themes produced through TemplateToaster essentially come responsive and compatible with several browsers which are widely used. And most used plug-ins namely Woo-commerce- WordPress plug-in and VirtueMart- Joomla plug-in. I have introduced TemplateToaster with the adjective smart. Obviously, I save my time and better focus on design since I do not have to bother about writing code, and my job ends in a few hours instead of some days. So, I refer using TemplateToaster as smart way. As a further matter, TemplateToaster cares about browser compatibility and responsiveness of designs. It would be interesting for you to know about the TemplateToaster. Get it’s free demo to explore more.